ActiveCampaign has been assisting small time business owners grow since 2003. 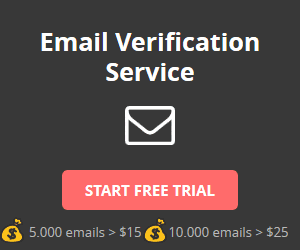 They help over 100,000 users worldwide from email marketing to managing sales with their top notch services. Their dedicated team makes sure that all needs are met and every concern is answered. ActiveCampaign is a marketing platform which aims to help entrepreneurs grow their business. With their platform, marketers can save time, money and effort while getting the best experience in the service. They provide different campaigns for email marketing, marketing automation and sales service. They offer free highly customizable templates for their newsletters and emails. The user can easily edit these templates according to their preferences. With their drag and drop editor, you don’t have to be an expert to create the perfect newsletter. These templates are also mobile ready so whatever the device, ActiveCampaign makes sure all your emails will look just as it should. Contact management made easy – Import existing contacts from a file or email service. It’s easier to manage all your contacts with ActiveCampaign’s contact management features. Data segmentation – Target your contacts and segment them according to their data, activity, campaign interactions and more. Create custom forms – Add custom forms to your site to help visitors subscribe to your newsletters. Extensive contact data – ActiveCampaign can easily fetch the contact’s location, gender, age, etc. Intelligent automatons – These are far more superior to autosresponder emails. You can create automatons based on the contact’s behavior. Send follow-up emails according to their interests, actions and behavior on your site. Split testing – Test out your emails before sending them to see which ones receive most opens, ROIs and clicks. Real time monitoring – Monitor campaign activities, contact behavior, reactions and more. Geo location tracking– You can make use of ActiveCampaign’s geo location tracking to segment your contacts. ActiveCampaign has multiple offers: They have different plans available to suit every need. No contracts, no hidden fees and charges. Does ActiveCampaign have a FREE PLAN? No. ActiveCampaign does not offer a free plan. Does ActiveCampaign have a FREE TRIAL? Yes. ActiveCampaign offers a free trial for 14 days. No credit card needed to sign-up. Does ActiveCampaign offer an API? Yes. ActiveCampaign offers an API. ActiveCampaign has over 150 built-in integrations. All registered users can use these APIs for free.